Searching for a Corgi Welsh Cardigan? The Cardigan Welsh Corgi (CWC), which was formerly classified as the same breed as the Pembroke Welsh Corgi, is native to the UK. it is among the country’s vulnerable canine breeds.People-loving, loyal, active, and intelligent, the CWC is a great family pet and is easy to house-train. It has an easy-to-groom coat that sheds extensively. This canine is very adaptable, but it is among the country’s vulnerable canine breeds. This breed originated from the Teckel family of dogs, which are short-legged hounds that also include the Dachshund. The CWC was utilised as guardians and herders of livestock and thus considered very valuable assets for farmers in Wales. The Cardie, along with the Pembroke, are heelers. This means they nip at the heels of the cattle and sheep they are moving. 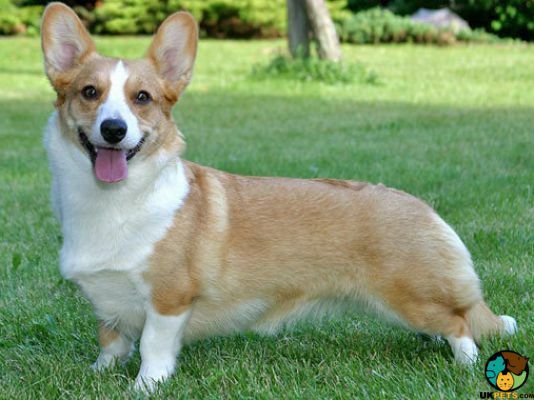 The Cardigan Welsh Corgi was known to be the only canine bred in Bronant, a village in the county of Ceredigion. This county used to be called Cardiganshire, from which the CWC got part of its name. A capable guard dog, this hound was not really a “herding” canine as its skill is focused on gathering a herd, not driving it. As such, it was used more as a “fence.” And when wire fencing emerged in the region in 1875, it affected the population and development of the breed. Industrialisation further jeopardised the popularity of the Cardie. Some owners then started crossing this breed with others, such as the Pomeranian and the Collies. 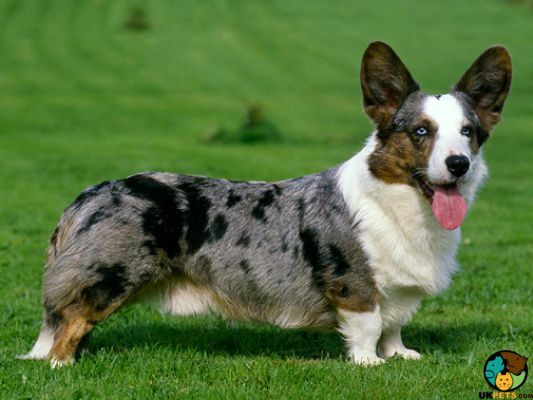 Farmers, however, wanted to retain the original Cardigan Welsh Corgi line. As such, those living in elevated areas retained the original Cardie’s lines. Those in the lowlands were not as vigilant. As a result, the CWCs in remote Welsh regions are purer and are the ancestors of the canine versions present today. In 1934, The Kennel Club finally acknowledged the Cardigan Welsh Corgi as a distinct breed. The CWC’s height ranges from 27-33 cm. Its weight usually ranges from 11-17 kg. 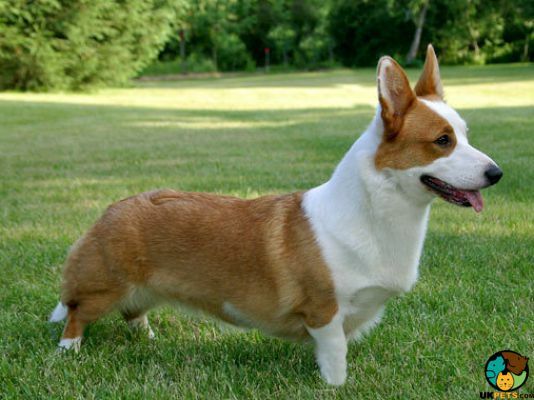 What is the difference between a Welsh Corgi and a Pembroke Corgi? The Cardie, also called the yard-long dog, is bigger and comes in more colours. The Pembroke, on the other hand, does not do well as a guard dog due to its more amiable temperament. 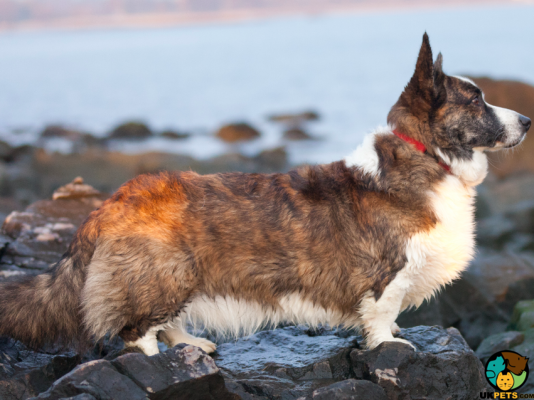 The Cardigan Welsh Corgi, however, is no slouch in the congeniality department. A robust breed, the CWC has a tremendous stamina for a dog of its size. Its medium-sized, compact body is longer than it is tall. It has a head that is fox-like and ears that are disproportionately larger than its frame. Its nose is always black. It has well-defined jaws and medium-sized eyes that are dark and sits obliquely on its face. The overall effect of its look is a keen and kind expression that adds to its charm factor. The Cardie has a broad chest and muscular shoulders. The topline is level and the tail is bushy. This canine may stand low on the ground but its legs are powerful and muscular, with the hind legs more developed than the front ones. The paws are round, slightly larger, and well-padded. This dog’s coat is medium-length and very weatherproof. As such, it feels quite rough. 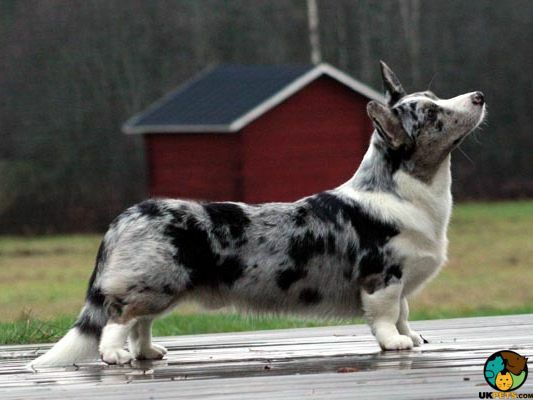 Cardigan Welsh Corgi colours come in a wide range of hues and combinations, from black brindle to tricolour. Grooming is done twice a week. To keep its fur’s sheen, wipe the CWC down with chamois leather. The Cardie may be a bit more relaxed than the Pembroke but it is eager to work when asked to and thus forms a solid bond with its humans. Affectionate, even-tempered, and loyal, the CWC likes to please its owners. It tolerates children and other animals in the home. Although aloof towards strangers, this dog is not known to be aggressive, preferring to keep its distance. Don’t let the Cardigan’s low height and non-athletic look fool you – it is agile and capable of running fast. In fact, this active pooch is a capable contender in agility competitions. As an intelligent canine with impressive stamina, the CWC is ideal for countryside homes and owners that have active lifestyles. Its herding instinct is strong and deep and thus must be tempered by sufficient exercise and mental stimulation. Early socialisation is also essential for it to grow into a well-balanced pet. It is easy to train and should be handled firmly yet gently. Follow a set feeding schedule consistently and provide the same food your Cardigan is used to in order to avoid gastric problems. However, if you need to shift to another type of high-quality food, do so gradually. This helps your pet adjust accordingly without complications. Puppies must be fed 3-4 times a day whilst adult ones can be fed twice a day. For a Cardie puppy 2-6 months old, feed it 170-230 g of food daily, depending also on its size and activity level. For one that is 8-10 months old, feed it 150-210 g of food daily. When it turns 12 months and beyond, it can be fed adult food. The adult Cardigan weighing 11 kg should be fed about 140-195 g of food daily, also taking into consideration its activity level. For those 14 kg and above, the daily recommended portion ranges from 180-260 g.
As a very active dog, the Cardigan Welsh Corgi should be exercised for at least an hour every day. It should be allowed to go off lead, provided it is in a securely fenced yard. Don’t forget its training or capacity for learning. Cardigan Welsh Corgi puppies for sale are very hard to find in the UK. You will need to register your interest among Cardigan Welsh Corgi breeders and be on a waitlist. When one is finally available, it may set you back at least £700. Insurance may cost about £22 (basic) to £44 (lifetime) monthly. The food cost is estimated at £20-£30 monthly. For vaccinations, boosters, annual checks and other veterinary costs, pet care expenses may add up to more than £900 annually. On average, a Cardie owner will spend about £50-£80 per month. The insurance fees can also affect these cost estimates. For its lifetime (12-15 years), the costs can range from £7,200 to £14,400. This estimate does not include the expenses incurred in buying a puppy yet. 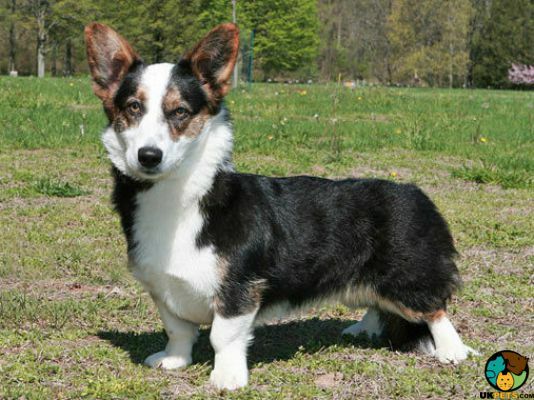 Is a Corgi Welsh Cardigan Right for You? The Cardie is an affectionate, even-tempered, and loyal dog that is fantastic for families. It is very intelligent and active, requiring much exercise and mental stimulation. Its high prey drive requires walks whilst on lead or off-lead playtime in secure areas. Its coat is easy to care for although it tends to shed a lot. The CWC can live in apartments and make a great guard dog.